Xiaomi embarked on a journey into the tech segment on March 31, 2010. The company has had a splendid time in the world of electronic equipments and the brand went bigger and bigger every passing year. On March 31 this year, the Chinese manufacturer will become five-year-old and it has some big plans to celebrate the fifth anniversary with its fans. 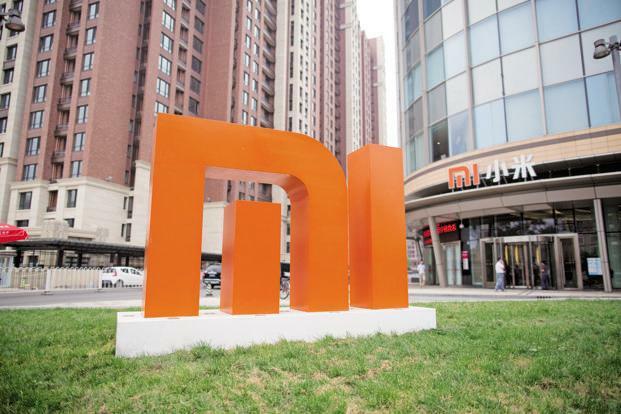 According to Gizmo China, Xiaomi is geared to release some products that are different from its present offerings. Xiaomi’s co-founder Lin Bin posted an image through the company’s official account on Weibo which suggest that the next product from Xiaomi would be women-centric. 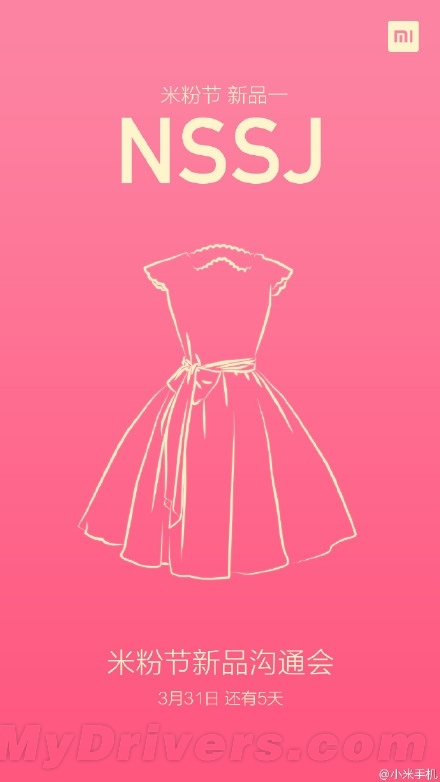 As one can see, the teaser image comprises an outline of a dress with a feminine pink background. A text in block letters NSSJ in written on the top of the dress. The dress is enough a hint to inform users that the upcoming product would cater to females. Apart from that, Xiaomi is shifting its focus from sleek construction and curvy edges to being more fashionable. As per a conversation between Bin Lin and a fashion group, it appears like Xiaomi is collaborating with the fashion group to bring out a gadget that is high on fashion. Meanwhile, there is no information if Xiaomi will launch an all-new device or will just give a fashion angle to its already existing line of gadgets. But according to Times of India, it could launch a mid-range smartphone codenamed ‘Ferrari’. The handset appeared on the graphics benchmarking website GFXBench. If the source is to be believed then the next device could be a 4.9-inch FHD device with 1.6GHz Qualcomm Snapdragon 615 octa-core processor, Adreno 405 GPU and 2GB of RAM. The phone is said to pack 16GB of internal memory storage along with 12MP rear and a 5MP front-facing camera. The phone will run on Android 5.0 Lollipop out of the box. The best part is that users don’t have to wait for long. We are less than a week away for March 31 and buyers will get to know about the devices shortly at the forthcoming event.